and nothing breaks the stillness but the singing of a bird. but to those who walk with quiet heart and seeing eye. I recently discovered that the word ‘resilience’ in my native language, Dutch, is ‘veerkracht’, which literally means ‘the strength of a feather’. I cannot think of a more beautiful and symbolic way to say how powerful nature is. 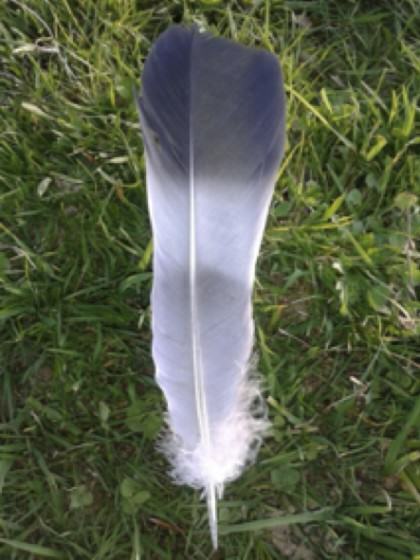 While a feather may appear delicate, it is incredibly strong, each feather ultimately giving birds the strength to fly and move freely between earth and sky. 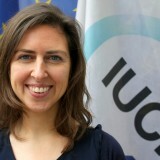 Over the past few years, I have been carefully exploring connections between IUCN’s work on biodiversity protection and the promotion of the value of nature within urban development. I have met many passionate experts, became part of new and exciting partnerships, discovered impressive scientific information on urban ecosystems, and found great examples which showcase the untapped potential of nature to enrich urban life. Looking into the potential of unconventional partnerships and innovative ways to connect cities and urban dwellers to natural landscapes can provide significant benefits in their day-to-day lives. Protecting nature in and around cities can help secure natural resources and turn our current economic challenges into opportunities to achieve a sustainable and resilient urban future. Investing in nature within and, particularly, beyond urban boundaries can offer a valuable economic return for cities—a value that is often underestimated. Increasing the understanding of the benefits of healthy natural systems and the services they provide, and subsequently integrating them into urban planning and decision-making, can help to strengthen water, energy, and food security; can promote health and wellbeing; can decrease disaster risk; and can reduce the impacts of climate change. We’ve started to see these ideas catching on. Last year, over 6,000 participants from more than 170 countries met at the IUCN World Parks Congress in Sydney to celebrate an enormous variety of inspiring ways to address the challenges facing the planet through protected area approaches that respect and conserve nature while benefitting human health and prosperity. The Congress made clear that rebalancing the relationship between human society and nature is essential, and took stock of challenges and innovative ways in which ecosystems support our existence, cultural and spiritual identity, economies, and well-being. A striking example is that a third of the world’s largest cities obtain a significant proportion of their drinking water from forest protected areas, which serve not only as a supplier, but also provide filtration services that lead to clean water and substantial cost savings. For instance, over the last few decades, Beijing has been facing a progressively worsening water crisis. Much of the original broadleaf forest in the Miyun watershed had disappeared. 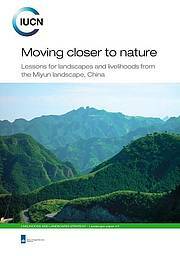 The IUCN Livelihoods and Landscapes (LLS) project in the Miyun watershed responded to the paradox of a landscape dominated by forests and impoverished local communities. Because there was little or no active management of the forests, the livelihood of these communities was under threat. The situation stressed the ever more urgent need to ensure that the source of Beijing’s rapidly dwindling water supplies—the forest—was protected. The project introduced a sustainable use and active management of the forests to be undertaken by local communities and made considerable efforts to find other ways to strengthen livelihoods, to promote sustainable forest use, and to add value at the local level. This project shows just how immensely valuable, the connections between people and nature are. New forms of collaboration will be required to mainstream natural solutions into urban and regional sustainable development and investment decisions. These partnerships will allow citizens to be reunited with nature, will allow our natural capital to be protected, and will optimize the values and benefits of ecosystem services. A key partner to engage with to achieve this transition is the private sector. Whether knowingly or not, businesses rely on natural resources for their production processes and depend on healthy ecosystems to remove waste and to maintain soil, water, and air quality. At the same time, businesses can have major negative impacts on biodiversity. While the private sector is part of the problem, it can also be part of the solution—it can offer innovative answers to conservation issues. Innovative business models that combine ecology and the economy already exist, as we learned during a dialogue on the contribution of green infrastructure to the circular economy. The Ford River Rouge Truck factory in Michigan, for example, has green roofs (providing a dynamic ecosystem with over 35 insect, spider, and bird species and 11 plant species) that filter 20 billion gallons of water per year, thereby contributing to storm water regulation and water filtration—all with substantial cost savings. A partnership between The Nature Conservancy and Dow Chemical demonstrates how valuing natural capital can benefit business and the environment. At a large Dow facility in south Texas, the company, with the help of environmental scientists, has calculated that investing in natural resources such as marshes and mangroves can deliver environmental and financial benefits that are equal to or higher than those generated by conventional pollution controls. A Dow project in Seadrift, Texas, that cost about US 1.2 million and utilizes a wetland would have cost US 40 million if the company had built a traditional engineered wastewater treatment plant. The wetland also provides habitat for deer, bobcat, birds, and even alligators. Another interesting example of creating business opportunities through investing in green spaces in urban areas is the Green Infrastructure Audit, which was developed in London’s Victoria Business District to identify options for installing new green spaces and improving existing areas. By mapping green infrastructure potential, this audit has revealed that enhancing the natural environment not only has the potential to improve worker satisfaction and increase local property values, but also to reduce peak summer temperatures and the costs to local businesses resulting from flooding, as well as to create further business opportunities. The European Centre for Nature Conservation (ECNC), an IUCN NGO member organization in the Netherlands, has joined forces with two companies to tackle the problem of marine litter. Healthy Seas recovers abandoned fish nets that pollute our seas and regenerates them into high quality yarn, which is then turned into new gear, such as socks, swimwear and carpets. While producing new products from used materials, the initiative raises awareness about the importance of healthy seas, the removal of abandoned fishing nets from oceans and seas, and the financing of local coastal and marine projects to promote the protection of seas across Europe. Leaders for Nature is the IUCN Netherlands’ business engagement network of twenty multinationals and major Dutch enterprises working together to green the economy. Its annual forum brings together private sector, government, and civil society stakeholders to identify ways of integrating natural capital into business management and practices. One of the challenges enumerated at this year’s forum was how to identify nature-based solutions for three sites in the Rotterdam and Amsterdam area. 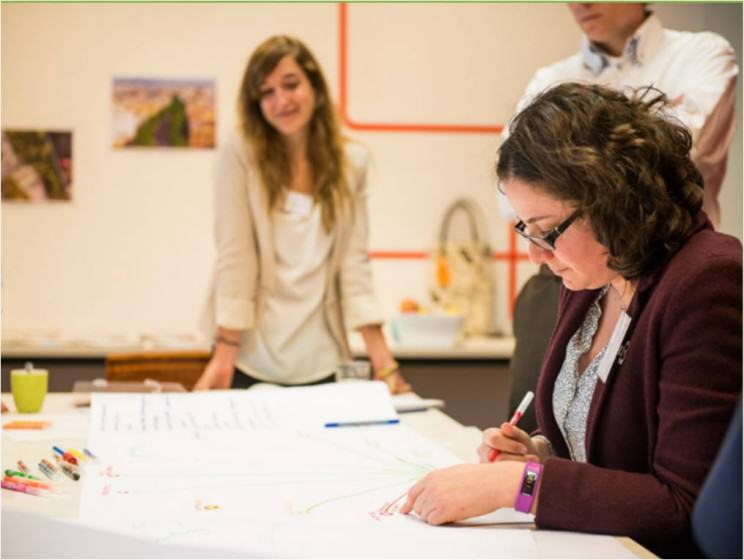 It turned out to be an inspiring exchange between unconventional partners on neigbourhood action to prevent flooding and urban heat, as well as to discuss plans for a Green Climate Corridor in the Amsterdam area—an innovative example of potentially larger, landscape-scale, replicable, nature-based action. A new initiative recently launched by IUCN, World Environmental Hubs, aims to create a global platform for recognition of cities and regions showing leadership in using nature to overcome the challenges they are facing and to help secure citizen wellbeing. This platform will bring together subnational governments with international environmental organizations, scientists, economists, and NGOs to increase cooperation, capacity-building, and knowledge-sharing for promoting and implementing nature-based solutions. The need for increased awareness of the opportunities related to protection of nature is not just of importance for the business community. Many city dwellers do not have a clear understanding of the support that nature provides of their day-to-day lives. Encouraging the enhancement of biodiversity in cities, such as planting species of native plants in our backyards or creating places where butterflies or birds feel at home, can revive nature in even the most densely populated city. This helps people living in urban environments to reconnect with nature and learn about the fascinating relationship that exists between humans and the natural landscape surrounding them. Many cities have extensive green spaces; sometimes these areas are part of an integrated network linking urban green areas to forests and other natural ecosystems quite far outside the city. In Oslo, almost all citizens live within 300 meters of a green area or park. Helsinki’s 10 km long Central Park extends from the city centre north into an old growth forest, providing multiple benefits for people and biodiversity. In 2003, the Metropolitan Government in Seoul, South Korea, uncovered and restored parts of the historic Cheonggyecheon River because the infrastructure covering it posed safety risks to citizens, meaning that it had to be either removed or repaired. The restoration of the river has led to an increase in fish and bird populations and an overall increase in biodiversity. The river also helps to cool temperatures by 3-5 degrees ((Yang and Cervero 2009) compared to surrounding areas and attracts an average of 64,000 visitors daily, all of whom contribute to Seoul’s economy. The restoration has served as a catalyst for an estimated US 1.98 billion worth of capital investment in Cheonggyecheon-area redevelopment (Kim et al. 2009). 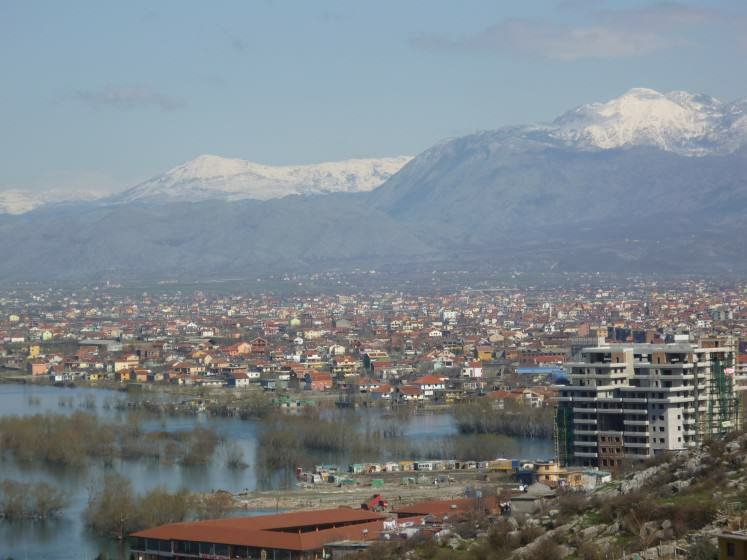 Vitoria Gasteiz, in the North of Spain, has invested in its natural capital by establishing a green belt, naturally connecting the city with the river and mountain ecosystems in its surroundings. Restoring these connections is essential for maintaining water flow, preventing soil erosion and flooding, reducing the urban heat island effect, creating habitat for a diversity of plant and animal species, offering opportunities for citizens and visitors to learn about nature and providing areas for recreation. Vitoria Gasteiz has been awarded the European Green Capital in 2012 for showing true leadership when it comes to protecting biodiversity and restoring the functions of the natural ecosystems within and around the city. It is an inspiring example for cities around the world. I believe, as many of The Nature of Cities bloggers do, that a sustainable future is in the hands of urban citizens and their perspectives on nature. The value of biodiversity and ecosystems for life is essential to making the transition towards a sustainable future. As David Maddox pictures so clearly in his beautiful story ‘It is difficult to take in the glory of the dandelion’, we can decide as societies what we value, what we want the places we live in to look like, and what to do with the financial resources available to our planners, developers, and citizens. It remains a real challenge to convince those used to traditional investment models and current economic thinking that nature is not a cost, but an investment offering good rates of return. Creating solutions via unconventional partnerships with a long-term vision, a sense of commitment, and a willingness to find ways to share, learn, and promote successful stories is key to transforming nature’s economic role into an asset for business and society. More work is required to establish a comprehensive understanding of when, where, and how investment in natural capital makes good social and economic sense. Like Dow and The Nature Conservancy, finding a common language and shared goals, while building on complementary knowledge, can serve as a strong foundation. Seeing nature as an essential provider of ecosystem services and key contributor to economic prosperity and social wellbeing starts with considering nature as part of one’s own life, especially if that is in an urban environment. Integrating nature into people’s lives can be done in many ways. 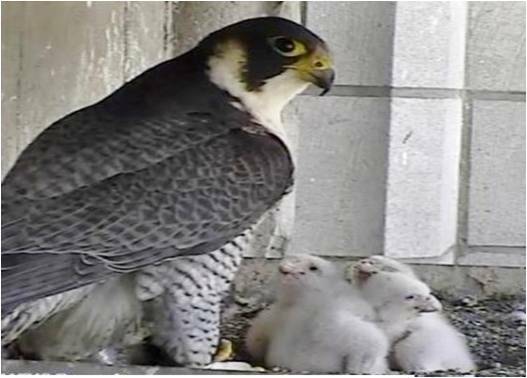 One of my personal favourites is the Peregrine falcons nesting on the top of one of the towers of the St. Michael and St. Gudula Cathedral in the heart of Brussels, where I live. With the use of modern technology, we can follow the chicks from when they hatch until they spread their wings, ready for their first flight. I hope that all of us will find new inspiration and value in bringing nature close to our homes, as well as in more remote green spaces and protected areas, so that the understanding of the connection between healthy ecosystems, lands, communities, and economies will place the same value in natural capital as in social and financial capital. Kang C.D., and R. Cervero (2009). From Elevated Freeway to Urban Greenway: Land Value Impacts 31 of the CGC Project in Seoul, Korea. Urban Studies 46, 2771–2794. Kim, H.S., T.G. Koh, and K.W. Kwon. 2009. 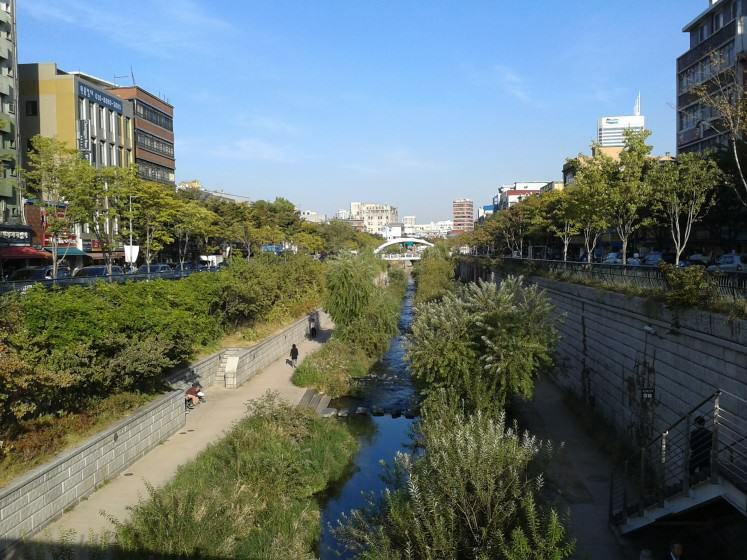 The Cheonggyecheon (Stream) Restoration Project – Effects of the restoration work. Cheonggyecheon Management Team, Seoul Metropolitan Facilities Management Corporation. Seoul, South Korea. Does anyone know how does the Cheonggyecheon Linear Project in Seoul, South Korea improve seoul’s air quality , well-being, biodiversity and ecological footprint?? The benefits of ecosystem services seem so apparent and “easily” accessible by private companies, especially as demonstrated in your essay. And so many cities were built because of the natural world around them…sea ports, rivers, easy access to agriculture. Why do you think it is difficult to convince companies and city governments that investing in the natural world is beneficial? And do you believe identifying the financial benefits is the only way to get them on board?